Go go go! Crochet for Kidneys part two is ON! 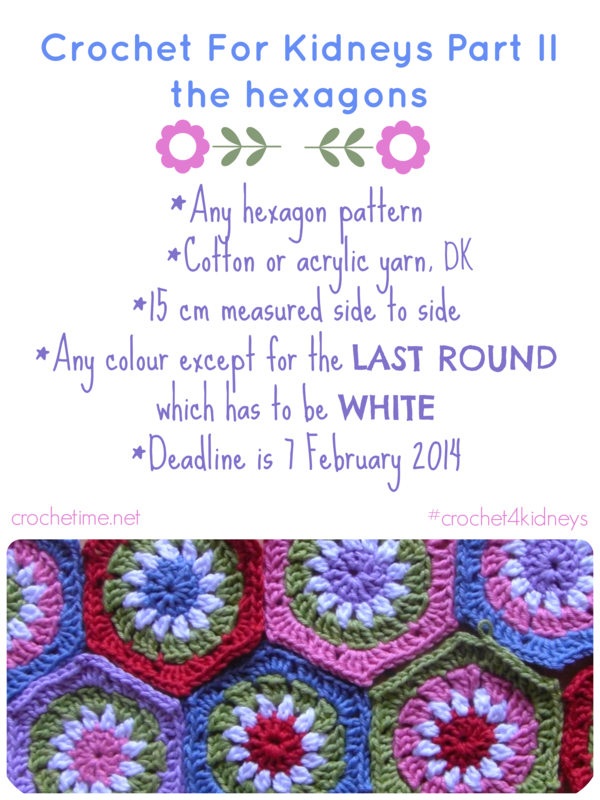 Share with all your crochet friends! Great to have you on board Sonja! Thanks for writing the post Sonja! Your hexagons are so incredibely beautiful! I love them! Can’t wait to see them in real life and see them worked in amongst the other hexagons from other ladies. Thanks for taking part!